I dont do milestone posts so the body of this is not "woopie i got 10k" but something else. Yet its worth to mention ive crossed this magic number on the site. Next stop 15k. 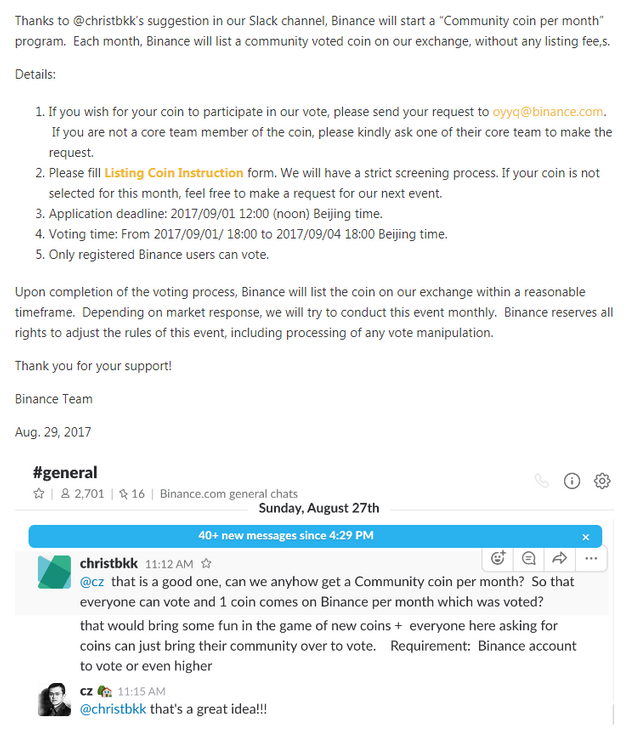 Now there is another chance for community action so we can get on Binance. First let me explain what Binance is since its pretty new. Its new but its powerful, it hosts ICOs and drives coins to mad levels. 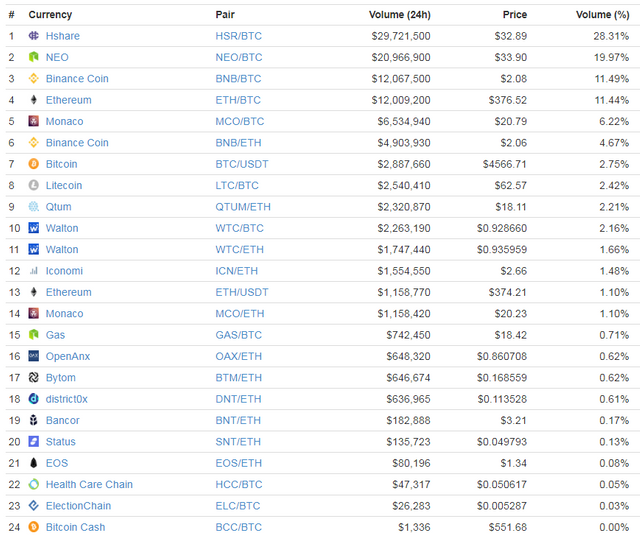 Yesterday coin HSR thats traded there went to top12 of Coinmarketcap in matter of hours. Its also one of top spots for trading Chinese ICOs and top Ethereum tokens. Usually, pumps start there on those. I really like that spot, been trading there since some days and its amazing. Now to be clear, unlike BTCC to this exchange you can pay and get added (i heard of some really big sums needed) so if STEEM INC wants to go for it, they can do it without blink of an eye. But there is also free way, just needs community to get done. Speaking shortly devs/owners so ie @ned have to fill in their proposal, then community has to register on the exchange (no documents needed) and then vote. Thanks for all following, resteeming and voting on my posts guys! oh damn first time i see you on my posts :) hopefully it pays good for you! Thanks, I'm new here so just learning about who I really want to follow. Thanks for the reply. @kingscrown is def one to follow. The name says it all! You only think it was high. Where STEEM is going, all previous prices are peanuts in comparison. Very good subject, I hope you pass by my profile and the votes of my message to be able to follow and help each other, apologize for the inconvenience thanks and many successes and blessings. The good part is that you get to USE it every day and PROFFIT off of the investment every day. The other good part is that the value of $teem is very likely to go up again and then not only will you have been getting paid every day for using it but also then get the increased % value! Have faith, help support the success of this community and SteemON! Many congrats, bro! You've helped support myself and countless on Steemit for which I am eternally grateful. I hope you just keep pushing higher and higher, bro! And yes, as for Binance, thanks for the heads up. Let's see if we can all pull together and make it happen this time around. Thanks for the informative article.... new to crypto world, so this is all good new information! Thanks for that. Even if you are not "really" celebrating your achievement of hitting 10,000K That's still a big deal! Congrats! :) Cheers to you getting 15K! I hope we manage to succeed this time. Great post and 100% upvote. This post received a 1.5% upvote from @randowhale thanks to @mountrock! For more information, click here! Thanks. I'm already in and glad to see its price skyrocketing. Do you have to leave your computer on all the time to benefit from the staking rewards ? The bittrex force of Koreans is powerful. Last year our pumping room was highly trusted. 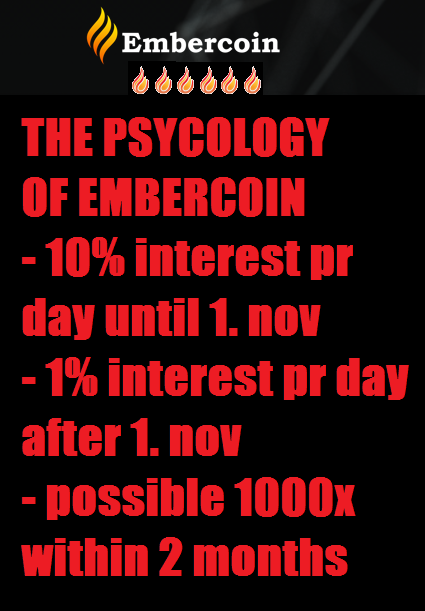 Do you think 500% ~ 1500% profit is impossible in a week? We'll show you this is true. With accurate chart reading, we plan to periodically pump. We are recruiting people all over the world, and we do not need your money for free! Just watch it. Install the telegram app and get in the channel. 안녕하세요. bittrex 거래소 펌핑 방입니다. 저희 한국인들의 bittrex 세력과 펌핑은 매우 강력합니다. 법적문제가 현재 있지않아, 다시한번 여러분들께 역사를 다시 써나가려고합니다. 일주일에 500% ~ 1500% 수익이 불가능할 것 같나요? 정확한 차트 리딩과 함께 저희는 주기적으로 펌핑할 예정입니다. 현재 전세계 사람들을 모집하고있고, 회원님들 돈 강요하지 않습니다. 공짜입니다. I just got 200 followers today and I celebrated with a post and free Upvotes, haha. Congrats on the 10k and let's make this happen and make all our steem way more valuable! Congrats mate @kingscrown. Well deserved. I find it hard to reach the 1000 mark though lol. Time! Congrats @kingscrown. By the way Binance is awesome and the BNB coin is a buy. I'll write about it soon. ..really interested in your soon following post ..follow you..
Binance is growing exponentially and securing a place for steem there is going to affect its price notably. We really need that. We also need an alternative exchange for polo and bittrex. Let's hope that @ned is listening to this. I will give it a total upvote to help in grabbing his attention. I have just posted an article analyzing the price of binance. Please check it out. Great news. As poloniex has disabled STEEM transactions, we should be all in here to add an extra exchange + it also hosts ICOs. And take STEEM to the moon. well done on this - i gather we shouldn't send in the form until ned has completed a request ? Yes, this is my question as well. I also had this question and would come to this same conclusion. I'm down, let's get on Binace!! My question is do we have to wait for Ned to take action or can we all start requesting the coin somehow? I was confused by the post. I think Ned/steemit core team has to start the request and then it becomes available for a vote. I have informed @zurvanic (Mitchell about this). Yet its worth to mention ive crossed this magic number on the site. Next stop 15k. I think we have to go for it, good idead indeed, upped. This plus the coming update will change the playing field for us. In addition to my comment, feel free to join the conversation in my new post about future of steem...it will motivate you more about steem . More success to you. did you try binance to withdraw, they must keep fractions of coin in your account and don't give the whole amount. That would be really really awesome. Nice catch! Congrats #kingscrown on ur 10k followers..keep posting good works..Really appreciate ur work buddy..
uhmmmm this is something to read, think, research and find it useful enough to introduce in social work.... we should be more up to date on the new changes! This post received a 4% upvote from @randowhale thanks to @kingscrown! For more information, click here! A success that deserves to be proud of, I really hope to be like you, and I have confidence that I can accomplish, just time. Please pray for me. thank you. Excellent post!!! Thanks for sharing. its really grate news for us. I am personally interested to invest there. Thank you so much. you really did good job by providing this wonderful information. wow.... a lot of followers! including me! congrats! Congratulation dear friend @kingscrown ! You are are the great member of this community . You are the hero . ..always top info..although it shows me that i have to learn faster and harder..up!.. Congratulations! That is quite a milestone and I'd definitely be proud to share that if I were at that level. I am pretty new so I get excited when I hit new levels of achievement in terms of account account value and followers. Sometimes I'll post about (achievements) it not so much to get rewards but to thank my followers and the platform for making me feel welcome and accomplished. What did you do for the celebration? buy yourself a gift! I only have 100 followers, but I know that I will have many many more I just want to make some good friends here! What a great news you brought here on steemit community @kingscrown :) this is worthy for a 100% upvote! i followed you also.. keep up the great work ^_^ nice one! hahha esto es genial! se entiende muy bien te sigo! Congratulations on your 10k! Hopefully we can land on the new Chinese exchange. I'm ready to see this take off! This is an ever growing market, the momentum, the energy, we are history in the making! That sounds like a great place to bring in more traffic for Steem. I don’t think I have even seen half those coins listed on their market. Very interesting market indeed. Table nay him jokes quick. In felicity up to graceful mistaken horrible consider. Thanks for all your work getting us this information. I can see steem power growing into an internationally traded coin it just takes a strong community like you were saying. I'll certainly do all I can to help make this happen and vote if/when I can. That was awesome congratulations sir @kingscrown ,thanks also for an update article of BTCC! Upvoted Resteem! It is great news to hear this, I am still new to steemit community now and trying to build my follower, but good post like this I will upvote and follow, thanks again my friend. I really hope we can get Steem added! That will really help! Always great information. Thank you and congratulations on 10,000 followers. Do you know whether anyone submitted a form? Wonderful news. Steemit is my daily platform for voicing my opinions and sharing my posts. When more exchanges are made available to sell new and promising crypto coins such as Steem, its price will end up higher due to better liquidity. Great news for steemit users. I'm excited to see my steem power grow. This post i just saw has given me the courage to steem on and never give up like i should have couple minutes ago. I don't know much about this issue at all, but I see a strong Chinese and Korean community on Steemit. Anything that expands Steem's global presence and also caters to Asian markets seems of interest for a trading/exchange platform. Wow! You're really BIG! Congrats! I am such a loooonnnnggggg way from getting 10K followers lol. Stuff like this does motivate me though to get into gear!!! Two thumbs up! Keep it up! Congrats! This post received a 20% vote by @minnowsupport courtesy of @kingscrown from the Minnow Support Project ( @minnowsupport ). Join us in Discord. wow, congrats for the 10 000, definitely its a great news but the problem that foreigners in China are facing is that its very difficult to pass the system and create an account and buy cryptos. Anyways its gonna increase our power. STEEM !!! cheers , upvoted and followed.